Nainital's unending expense of scenic beauty is nothing short of a romance with awe-inspiring and pristine Mother nature. Known for its salubrious climate and scenic beauty, the Nainital town is a popular health resort and attracts tourists around the year it is the most frequented tourist visitation of the hill station. Nainital is one of the most charismatic hill stations that India harbors. Nainital District is also called Land of Greens and Blues because of lush green forests - valleys and clear blue sky. For an Indian tourist seeking a summer holiday escape, Nainital assures easy accessibility to happiness. thats why Nainital is also called Destination Happiness which has earned Nainital the reputation of best hill station in India. 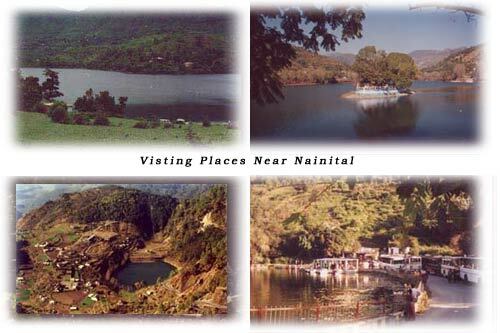 Nainital's peripheral tourist zone extends upto Bhimtal, Sattal, Naukachiatal Sariyatal, and Khurpatal have recently developed as tourist centres. These beautiful full of nature tourist places have grown up as additional recreational grounds and can provide even to casual visitors holiday activities, canoeing and yachting. Like other hill resorts, Nainital attracts visitors during summer, autumn and winter. A slow and steady tourist influx gets going by the second week of April and this influx gathers moment turn by mid May. The tourist rush in at its peak during second half of May and all through June predominantly belonged to the class of princes, aristocrats and business magnates, but now persons belonging to middle class strata of society also visit the town during the season in very large numbers.